[G.R. No. 177152 : January 06, 2010] PEOPLE OF THE PHILIPPINES, PLAINTIFF-APPELLEE, VS. MANUEL BAGOS, ACCUSED-APPELLANT. [G.R. No. 177295 : January 06, 2010] PEOPLE OF THE PHILIPPINES, PLAINTIFF-APPELLEE, VS. MARLON BARSAGA ABELLA, ACCUSED-APPELLANT. [G.R. No. 187635 : January 11, 2010] MATEO R. NOLLEN, JR., PETITIONER, VS. COMMISSION ON ELECTIONS AND SUSANA M. CABALLES, RESPONDENTS. [G.R. No. 189034 : January 11, 2010] CELESTINO A. MARTINEZ III, PETITIONER, VS. HOUSE OF REPRESENTATIVES ELECTORAL TRIBUNAL AND BENHUR L. SALIMBANGON, RESPONDENTS. [G.R. No. 157095 : January 15, 2010] MA. LUISA G. DAZON, PETITIONER, VS. KENNETH Y. YAP AND PEOPLE OF THE PHILIPPINES, RESPONDENTS. [G.R. No. 178318 : January 15, 2010] PEOPLE OF THE PHILIPPINES, APPELLEE, VS. EDGARDO ESTRADA, APPELLANT. [G.R. No. 172287 : January 15, 2010] WELFREDO CENEZE, PETITIONER, VS. FELICIANA RAMOS, RESPONDENT. [G.R. No. 167874 : January 15, 2010] SPOUSES CARMEN S. TONGSON AND JOSE C. TONGSON SUBSTITUTED BY HIS CHILDREN NAMELY: JOSE TONGSON, JR., RAUL TONGSON, TITA TONGSON, GLORIA TONGSON ALMA TONGSON, PETITIONERS, VS. EMERGENCY PAWNSHOP BULA, INC. AND DANILO R. NAPALA, RESPONDENTS. [G.R. No. 168970 : January 15, 2010] CELESTINO BALUS, PETITIONER, VS. SATURNINO BALUS AND LEONARDA BALUS VDA. DE CALUNOD, RESPONDENTS. [G.R. No. 164436 : January 15, 2010] LITTIE SARAH A. AGDEPPA, LYNN SARAH A. AGDEPPA, LOUELLA JEANNE A. AGDEPPA, AND LALAINE LILIBETH A. AGDEPPA, PETITIONERS, VS. HEIRS OF IGNACIO BONETE, REPRESENTED BY DOROTEA BONETE, HIPOLITO BONETE, MILAGROS BONETE, MAURICIO BONETE, FERNANDO BONETE, AND OPHELIA BONETE, RESPONDENTS. [G.R. No. 165408 : January 15, 2010] JAIME T. TORRES, PETITIONER, VS. CHINA BANKING CORPORATION, RESPONDENT. [G.R. No. 163271 : January 15, 2010] SPOUSES PATRICIO AND MYRNA BERNALES, PETITIONERS, VS. HEIRS OF JULIAN SAMBAAN, NAMELY: EMMA S. FELICILDA, ANITA S. SAMBAAN, VIOLETA S. DADSANAN, ABSALON S. SAMBAAN, AGUSTINE S. SAMBAAN, EDITHA S. MANGUIRAN, GRACE S. NITCHA. CLODUALDO S. SAMBAAN, GINA S. SAMBAAN AND FE S. YAP, RESPONDENTS. [G.R. No. 179761 : January 15, 2010] CATMON SALES INTERNATIONAL CORPORATION, PETITIONER, VS. ATTY. MANUEL D. YNGSON, JR., AS LIQUIDATOR OF CATMON SALES INTERNATIONAL CORPORATION, RESPONDENT. [G.R. No. 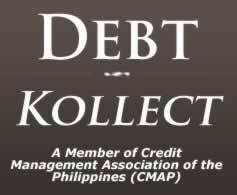 164673 : January 15, 2010] SAMUEL U. LEE AND MAYBELLE LEE LIM, PETITIONERS, KBC BANK N.V., RESPONDENT. [G.R. No. 188561 : January 15, 2010] PEOPLE OF THE PHILIPPINES, APPELLEE, VS. FELIPE AYADE Y PULOD, APPELLANT. [G.R. No. 167891 : January 15, 2010] SPOUSES JESUS FAJARDO AND EMER FAJARDO, PETITIONERS, VS. ANITA R. FLORES, ASSISTED BY HER HUSBAND, BIENVENIDO FLORES, RESPONDENT. [G.R. No. 175319 : January 15, 2010] PEOPLE OF THE PHILIPPINES, APPELLEE, VS. JOSELITO NOQUE Y GOMEZ, APPELLANT. [G.R. No. 176831 : January 15, 2010] UY KIAO ENG, PETITIONER, VS. NIXON LEE, RESPONDENT. [G.R. No. 185112 : January 18, 2010] DEPARTMENT OF LABOR AND EMPLOYMENT (DOLE) AND NATIONAL MARITIME POLYTECHNIC (NMP), PETITIONERS, VS. RUBEN Y. MACEDA, RESPONDENT. [A.M. No. RTJ-08-2152 (Formerly A.M. OCA IPI No. 08-2846-RTJ) : January 18, 2010] LUMINZA DELOS REYES, COMPLAINANT, VS. JUDGE DANILO S. CRUZ AND AND CLERK OF COURT V GODOLFO R. GUNDRAN, OF THE REGIONAL TRIAL COURT, BRANCH 152, PASIG CITY, RESPONDENTS. [G.R. No. 185121 : January 18, 2010] LIMANCH-O HOTEL AND LEASING CORPORATION AND CONRADO TIU, PETITIONERS, VS. CITY OF OLONGAPO, ATTY. MA. ELLEN AGUILAR, ENGR. RAMON ZAVALLA, ENGR. ANDREW DAYOT, AND ENGR. REYNALDO EDRAISA, RESPONDENTS. [G.R. No. 164506 : January 19, 2010] PAULINO M. ALECHA AND PRECIOSO M. TAPITAN, PETITIONERS, VS. ELMER BEN V. PASION, RODOLFO M. ELMAN, ANTONIO E. VALENZUELA, MAYOR ULYSSES D. PEREZ, VICE MAYOR STEWART R. PADAYHAG, SB MEMBER PABLO MANTOS SR., SB MEMBER CASIMERO BAOBAO, SB MEMBER FILOMENO ROSILLOSA, SB MEMBER FELICIANO OLING, SB MEMBER NORBERTO RAMOS, SB MEMBER LUIS PALONGPALONG, SB MEMBER ROGELIO BUGTAY, SB MEMBER OSCAR ATAY, ABC PRESIDENT PRIMITIVO VERDAD, JR., SKF CHAIRMAN JACKSON PADAYHAG, ABC PRESIDENT SERGIO DAGOLDOL, SFK CHAIRMAN TRISTAN B. BAGUIO, MUN. SECRETARY PROTACIO ELMIDULAN, JR., MPDC VICENTE LLESIS, CIVIL REGISTRAR MEDARDO COLITA, BUDGET OFFICER RAMONITA B. BAGUIO, MUN. ENGR. SEGUNDO ARANDID, JR., MUN. ASSESSOR WILFREDO FLORES, MAO ALEJANDRO JIMENEZ, MUN. ACCOUNTANT AVELINO DEDORO AND DSWD [OFFICER] SUSAN MAGO, RESPONDENTS. [A.M. No. RTJ-07-2045 : January 19, 2010] OFFICE OF THE COURT ADMINISTRATOR, COMPLAINANT, VS. JUDGE HARUN B. ISMAEL, RESPONDENT. [G.R. No. 185710 : January 19, 2010] PEOPLE OF THE PHILIPPINES, APPELLEE, VS. ROMULO TUNIACO, JEFFREY DATULAYTA AND ALEX ALEMAN, ACCUSED. ALEX ALEMAN, APPELLANT. [G.R. No. 185222 : January 19, 2010] JESUS M. CALO, PETITIONER, VS. COMMISSION ON ELECTIONS AND RAMON "MONCHING RMC" M. CALO, RESPONDENTS. [G.R. No. 180764 : January 19, 2010] TITUS B. VILLANUEVA, PETITIONER, VS. EMMA M. ROSQUETA, RESPONDENT. [G.R. No. 177727 : January 19, 2010] HAROLD V. TAMARGO, PETITIONER, VS. ROMULO AWINGAN, LLOYD ANTIPORDA AND LICERIO ANTIPORDA, JR., RESPONDENTS. [G.R. No. 174198 : January 19, 2010] THE PEOPLE OF THE PHILIPPINES, PLAINTIFF-APPELLEE, VS. ZAIDA KAMAD Y AMBING, ACCUSED-APPELLANT. [A.M. No. P-05-2085 : January 20, 2010] GERARDO Q. FERRERAS, COMPLAINANT, VS. RUDY P. ECLIPSE, UTILITY WORKER I, REGIONAL TRIAL COURT, BRANCH 66, BALER, AURORA, RESPONDENT. [G.R. No. 169741 : January 20, 2010] GREENHILLS EAST ASSOCIATION, INC., REPRESENTED BY ITS PRESIDENT JOSEFINA J. CASTILLO, PETITIONER, VS. E. GANZON, INC., REPRESENTED BY ITS PRESIDENT EULALIO GANZON, RESPONDENT. [G.R. No. 174356 : January 20, 2010] EVELINA G. CHAVEZ AND AIDA CHAVEZ-DELES, PETITIONERS, VS. COURT OF APPEALS AND ATTY. FIDELA Y. VARGAS, RESPONDENTS. [G.R. No. 184122 : January 20, 2010] BANK OF THE PHILIPPINE ISLANDS, INC., PETITIONER, SPS. NORMAN AND ANGELINA YU AND TUANSON BUILDERS CORPORATION REPRESENTED BY PRES. NORMAN YU, RESPONDENTS. [A.M. No. 06-3-07-SC : January 21, 2010] RE: REQUEST FOR APPROVAL OF THE REVISED QUALIFICATION STANDARD FOR PROJECT DEVELOPMENT OFFICER V AND HUMAN RESOURCE MANAGEMENT OFFICER III IN THE PROGRAM MANAGEMENT OFFICE. [G.R. No. 188360 : January 21, 2010] SPS. HEBER & CHARLITA EDILLO, PETITIONERS, VS. SPS. NORBERTO & DESIDERIA DULPINA, RESPONDENTS. [G.R. No. 183810 : January 21, 2010] FARLEY FULACHE, MANOLO JABONERO, DAVID CASTILLO, JEFFREY LAGUNZAD, MAGDALENA MALIG-ON BIGNO, FRANCISCO CABAS, JR., HARVEY PONCE AND ALAN C. ALMENDRAS, PETITIONERS, VS. ABS-CBN BROADCASTING CORPORATION, RESPONDENT. [G.R. No. 185240 : January 21, 2010] SPS. MANUEL AND VICTORIA SALIMBANGON, PETITIONERS, VS. SPS. SANTOS AND ERLINDA TAN, RESPONDENTS. [G.R. No. 181591 : January 21, 2010] PEOPLE OF THE PHILIPPINES, APPELLEE, VS. CHRISTOPHER DE JESUS, APPELLANT. [G.R. No. 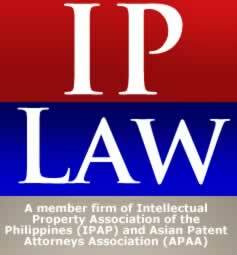 181083 : January 21, 2010] PEOPLE OF THE PHILIPPINES, PLAINTIFF-APPELLEE, VS. HERMINIGILDO SALLE SOBUSA, ACCUSED-APPELLANT. [G.R. No. 179868 : January 21, 2010] RIZALDY M. QUITORIANO, PETITIONER, VS. JEBSENS MARITIME, INC./ MA. THERESA GUTAY AND/OR ATLE JEBSENS MANAGEMENT A/S, RESPONDENTS. [G.R. No. 179343 : January 21, 2010] FISHWEALTH CANNING CORPORATION, PETITIONER, VS. COMMISSIONER OF INTERNAL REVENUE, RESPONDENT. [G.R. No. 179085 : January 21, 2010] TAMBUNTING PAWNSHOP, INC., PETITIONER, VS. COMMISSIONER OF INTERNAL REVENUE, RESPONDENT. [G.R. No. 177114 : January 21, 2010] MANOLO A. PEÑAFLOR, PETITIONER, VS. OUTDOOR CLOTHING MANUFACTURING CORPORATION, NATHANIEL T. SYFU, PRESIDENT, MEDYLENE M. DEMOGENA, FINANCE MANAGER, AND PAUL U. LEE, CHAIRMAN, RESPONDENTS. [G.R. No. 169438 : January 21, 2010] ROMEO D. MARIANO, PETITIONER, VS. PETRON CORPORATION, RESPONDENT. [G.R. No. 167976 : January 21, 2010] ROSARIO T. FLORENDO, FOR HERSELF AND THE OTHER HEIRS OF THE LATE DR. REGALADO FLORENDO, PETITIONER, VS. PARAMOUNT INSURANCE CORP. (NOW RENAMED AS MAA GENERAL ASSURANCE, INC.), RESPONDENT. [G.R. No. 167464 : January 21, 2010] RONNIE SUMBILLO, FRANCISCO SERICON, JOSELITO SERICON, AND FELIX GAYUSO, JR., PETITIONERS, VS. PEOPLE OF THE PHILIPPINES, RESPONDENT. [G.R. No. 164152 : January 21, 2010] COMMISSIONER OF INTERNAL REVENUE, PETITIONER, VS. JULIETA ARIETE, RESPONDENT. [G.R. No. 159835 : January 21, 2010] THE BOARD OF COMMISSIONERS OF THE BUREAU OF IMMIGRATION AND DEPORTATION, PETITIONER, VS. JUNG KEUN PARK @ JUNG GEUN PARK @ CHUNG KEUN PARK, RESPONDENT. [G.R. No. 182722 : January 22, 2010] DUMAGUETE CATHEDRAL CREDIT COOPERATIVE [DCCCO], REPRESENTED BY FELICIDAD L. RUIZ, ITS GENERAL MANAGER, PETITIONER, VS. COMMISSIONER OF INTERNAL REVENUE, RESPONDENT. [G.R. No. 180374 : January 22, 2010] BIENVENIDO T. BUADA, ISAIAS B. QUINTO, NEMESIO BAUTISTA, ORLANDO R. BAUTISTA FREDDIE R. BAUTISTA, CARLITO O. BUADA, GERARDO O. BUADA, ARMANDO M. OLIVA, ROGELIO F. RAPAJON, AND EUGENIO F. FLORES, PETITIONERS, VS. CEMENT CENTER, INC., RESPONDENT. [G.R. No. 180870 : January 22, 2010] JULIUS CACAO Y PRIETO, PETITIONER, VS. PEOPLE OF THE PHILIPPINES, RESPONDENT. [G.R. No. 179161 : January 22, 2010] PHILIPPINE NATIONAL BANK, PETITIONER, VS. DKS INTERNATIONAL, INC. AND MICHAEL DY, RESPONDENTS. [G.R. No. 186471 : January 25, 2010] PEOPLE OF THE PHILIPPINES, PLAINTIFF-APPELLEE, VS. RODANTE DE LEON Y DELA ROSA, ACCUSED-APPELLANT. [G.R. No. 183279 : January 25, 2010] LAND BANK OF THE PHILIPPINES, PETITIONER, VS. DEPARTMENT OF AGRARIAN REFORM ADJUDICATION BOARD AND HEIRS OF VICENTE ADAZA, HEIRS OF ROMEO ADAZA, AND HEIRS OF CESAR ADAZA, REPRESENTED BY RUSSEL ADAZA, RESPONDENTS. [G.R. No. 170256 : January 25, 2010] ALVIN B. GARCIA, PETITIONER, VS. COMMISSION ON ELECTIONS AND TOMAS R. OSMEÑA, RESPONDENTS. [A.M. No. P-09-2657 [formerly OCA IPI No. 04-2075-P] : January 25, 2010] BENJAMIN E. SANGA COMPLAINANT, VS. FLORENCIO SJ. ALCANTARA AND SALES T. BISNAR, RESPONDENTS. [G.R. No. 149497 : January 25, 2010] NATIONAL ELECTRIFICATION ADMINISTRATION, PETITIONER, VS. CIVIL SERVICE COMMISSION AND PEDRO RAMOS, RESPONDENTS. [G.R. No. 179909 : January 25, 2010] FAR EAST BANK AND TRUST COMPANY (NOW BANK OF THE PHILIPPINE ISLANDS) AND ROLANDO BORJA, DEPUTY SHERIFF, PETITIONERS, VS. SPS. ERNESTO AND LEONOR C. CAYETANO, RESPONDENTS. [G.R. No. 171586 : January 25, 2010] NATIONAL POWER CORPORATION, PETITIONER, VS. PROVINCE OF QUEZON AND MUNICIPALITY OF PAGBILAO, RESPONDENT. [G.R. No. 157659 : January 25, 2010] ELIGIO P. MALLARI, PETITIONER, VS. GOVERNMENT SERVICE INSURANCE SYSTEM AND THE PROVINCIAL SHERIFF OF PAMPANGA, RESPONDENTS. [G.R No. 188078 : January 25, 2010] VICTORINO B. ALDABA, CARLO JOLETTE S. FAJARDO, JULIO G. MORADA, AND MINERVA ALDABA MORADA, PETITIONERS, VS. COMMISSION ON ELECTIONS, RESPONDENT. G.R. No. 171911 : January 26, 2010] BERNARDA CH. OSMEÑA, PETITIONER, VS. NICASIO CH. OSMEÑA, JOSE CH. OSMEÑA, TOMAS CH. OSMEÑA, HEIRS OF FRANCISCO CH. OSMEÑA AND SIXTA CH. OSMEÑA, RESPONDENTS. [G.R. No. 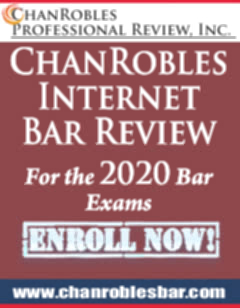 177138 : January 26, 2010] PEOPLE OF THE PHILIPPINES, APPELLEE, VS. JOEL GUILLERMO, APPELLANT. [A.M. No. CA-10-49-J [Formerly A.M. OCA IPI No. 08-142-CA-J] : January 28, 2010] RAMON C. GONZALES, COMPLAINANT, VS. COURT OF APPEALS ASSOCIATE JUSTICE AMELITA G. TOLENTINO, RESPONDENT. [Adm. Case No. 804 : January 28, 2010] MANILA LUMBER, INCORPORATED, COMPLAINANT, VS. PABLO ORO, RESPONDENT.